Ride amidst the spectacular sandstone formations of Monument Valley. Travel through ancient tribal lands, viewing ruins and petroglyphs. Stop at Hubbell Trading Post, a national historic site. Travel picture of Mesas and dunes form a dramatic backdrop. 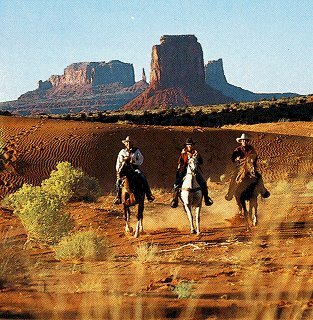 Husband and I want a chuck wagon, horseback adventure in Monument valley.